There I was, completely exasperated. Sweat pooling in the armpits of my light grey shirt. This little guy was putting me through the wringer. 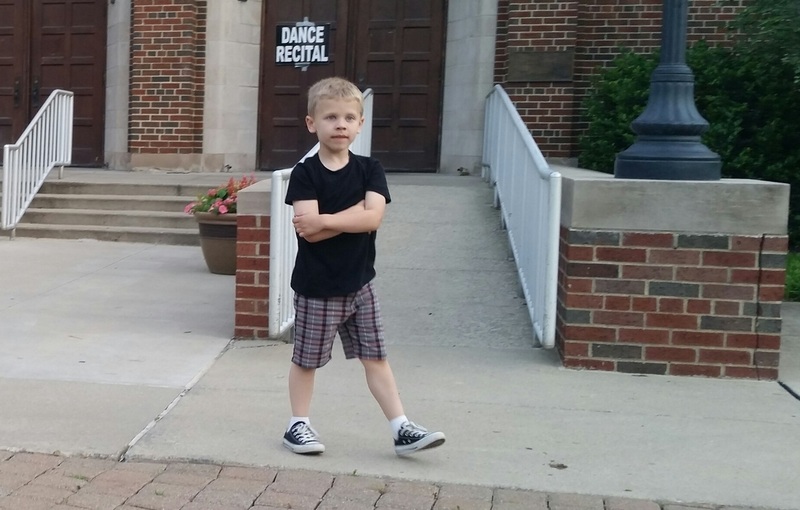 How was I going to him back in the building in time for Jenna’s second dance? “THAT WAY!” Carson yelled, tears welling up in his blue eyes, his finger jutted out in the direction of the large inflatable castle behind me. There was a carnival going on. I hadn’t noticed the bounce houses (Carson’s favorite) when we came out. I let out a long sigh; there were still almost two hours left. How did we end up outside in the first place? 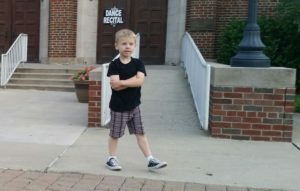 Normally we wouldn’t have brought him, but all of our normal sitters were also coming to this dance recital. Jenna, Carson’s sister, had two dances in the program. Her first dance was the 9th out of 41 performances, but her second dance was number 32. Carson (5 years old) sat between me and his grandma playing on the iPad for several minutes in the beginning. When he made it through Jenna’s first dance. We thought things were going pretty well. He was so happy! As the performances went on he moved out of my reach to the other side of grandma and great grandma. He danced, cheered, and clapped loudly as each group performed. He was the loudest voice in the auditorium! We placed him strategically in the middle of our row so he couldn’t run off. Suddenly he dropped to the floor. With a mischievous grin, he began to wriggle under the seat in front of him. Both grandmas looked at me, their eyes begging for help as he continued to slide down the sloped floor. I was too far away. Carson popped up a row in front of us next to a friendly guy with tattoos and piercings. The man gave us a nod that said “it’s okay” and attempted to talk to him. Carson ignored the guy and 10 seconds later he popped up in the next row. He repeated this 4 times until he was one row from the elevated stage. Each time he popped up the surrounding adults were less and less friendly, looking around accusingly for the incompetent parent who was letting their kid run wild. By this point I had slipped out of my seat and crouched down near the front row waiting for the music to stop thumping so I could snag the boy during the applause. I looked apologetically at the man next to Carson as he nearly knocked over his diet coke. The man scowled at him and then at me. When the song ended I reached over the front row, picked him up and off to the lobby we went. Carson kicking and screaming the whole way. Parents with children on the autism spectrum, you know that feeling. You’re completely helpless. You want to explain. You want to apologize. You want to punch the jerk with the Diet Coke in the face for giving your kid a dirty look. Sometimes, it’s all we can do to just manage the situation and keep our kids safe. 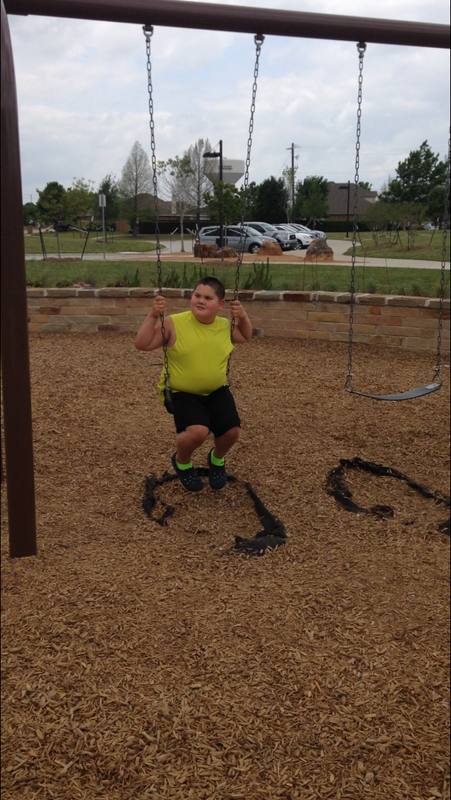 Eventually I took Carson outside and ended up facing a completely new set of challenges. For those of you wondering I was able to get him back inside just in time for his sister’s second dance. The iPad and a large open area near the back of the auditorium saved the day. Hunter’s Autism Specials is here to support parents like us. Their goal is to help families face challenges like this story as well as the bigger challenges of life with autism. Chad & Amy understand what we face every day and they have pulled together Valuable Resources to aid in caring for your children and planning for their future. In addition to resources, H.A.S. also coordinates exclusive events in the Dallas, TX area. Please take a look at the Events Calendar and register for these fun-filled outings that are tailored to create memorable and safe experiences for you and your family. Sign up soon, these events tend to fill up quickly!